Who are Dutjahn Sandalwood Oils? In August 2017, the Indigenous desert nomads negotiated a large injection of capital into their company - Dutjahn Sandalwood Oils - from the founders of Australia’s largest spicatum sandalwood plantations growers, W.A. Sandalwood Plantations Pty Ltd. This new relationship is built on mutual respect and the knowledge that the old wild trees from the desert areas need to be merged, in production terms, with the new plantation industry for it to continue to offer a consistent and credible long-term supply of sandalwood oil. This offers a level of security for buyers, brands and perfumers that has not been seen before in the WA sandalwood oil industry. Dutjahn Sandalwood Oils also successfully tendered for a long-term supply agreement for spicatum wild harvest timber from the WA Government, to complement their own high-grade desert sandalwood from the vast desert homelands. Dutjahn Sandalwood Oils new equity partners are Perth businessmen Keith Drage and Ron Mulder who founded WA Sandalwood Plantations in 2001. Working with Australian farmers and investors, they have built a debt free structure that manages 13,000 hectares of spicatum plantations that provide vital mitigation of salinity and other key environmental benefits to regional Australia. Dutjahn Custodians are Traditional Gibson Desert 2nd contact Aboriginal desert nomads that have cultural responsibility to safeguard Santalum spicatum (Dutjahn) in their homelands that are situated deep in the Gibson desert, north east of Kalgoorlie. Their Wongi and Martu heritage can be more specifically traced back to their Muntjiltjarra ancestors, who were one of the last of the worlds first contact generation to be drawn into “modern” civilization. These secretive and isolated nomads started to “come in” from their homelands to frontier desert towns such as Wiluna and Leonora enmasse in the 1950’s and as late as 1979, Ken Farmer famously took a film crew and brought in the Last of the Nomads. Ken Farmer is symbolic of this noble race. Born into a desert culture, in 1977 he established a vision for his descendants to keep their cultural integrity and established a business framed around Australian sandalwood. In this same year Ken gave birth to his son Clinton Farmer, the current Chairman of Kutkabbuba Aboriginal Corporation. Raising his nephew Darren alongside Clinton, he reinforced the need for the family to work with their culture. Clinton took the responsibility of running the sandalwood enterprise, which he does to this day, and Darren devoted his life to campaigning for Indigenous rights. Working alongside Kado Muir for 25 years, they devoted their lives to supporting their elders pursuit of Native Title Land Rights. They have fought alongside their elders for the right to occupy and benefit from their land. In December 2014 the Federal Court of Australia awarded the Martu people “Exclusive possession and full natural resource rights”. Unfortunately, the 1st Contact elders passed away fighting this battle, even today while the Courts have awarded certain areas their rights, Kado is still fighting for his land rights, which are inevitable but will still take 2-5 years through the courts. In the meantime he is unable to defend his birthright and is trying to prevent indiscriminate harvesting of the wild resource of his homelands. Dutjahn Custodians is still waiting for a fair Treaty. In 2014 Darren Farmer was able to convince Stephen Birkbeck, an old and trusted confidante of the 1st contact elders and global sandalwood oil authority, to assist bring his people into the sandalwood industry. Through the course of the following three years Dutjahn Custodians was able to secure a 1,000 tonne sandalwood oil processing contract and establish a processing joint venture with Keith Drage and Ron Mulder (WA Sandalwood Plantations Pty Ltd founders). Dutjahn Custodians is committed to this joint venture. To ensure it’s success it will also direct Native Title sandalwood and previous and future R & D investments into this joint venture. In the coming month’s it will release the first of a range of Indigenous inspired perfumes and consumer products to assist fund it’s fight for justice. Initiated in Martu culture (Puntu) this 45 year old “second contact leader” has sacrificed over twenty years of his life to the Dutjahn vision of rights to live off his land and culture. Darren was elected as the youngest ever Australian and Torres Island Commissioner in the 1990’s. Darren went onto assist his first contact elders and Central Deserts Native Title Services fight a major land rights claim by the Birriliburu-Martu people over two decades in which finally they won a LANDMARK Native Title Exclusive Determination with full natural resources rights against the Western Australian Government in December 2014, in which the State in 2016 withdrew its final avenue to resource appeal. Martu people now own the resource. Since immigrating to Australia in late 2000 Keith, together with Ron Mulder, established WA Sandalwood Plantations (WASP) and has been the Managing Director since 2001. Keith has been involved with the development and management of each existing commercial Western Australian sandalwood plantation WASP manages on behalf of its sophisticated investors and institutional clients. Keith has experience in client liaison, company management, management accounting, finance and sales. Keith graduated in Chemistry from University College, London in 1986. He then joined what is now ICAP Plc, the world’s largest inter dealer-broker, in their currency options division. During a career of 14 years with the company Keith worked initially as a broker in London before opening currency option divisions in Hong Kong, Tokyo and Sydney in the late 1980s. After managing the London division from 1991 – 1998 he then moved to New York where he managed the product globally, until leaving ICAP in June 2000. Ron Mulder established New Forest WA Pty Ltd in 1995 to specialise in the propagation and supply of Western Australian sandalwood trees as a combatant to the growing problems of salinity in rural Western Australia. Research on the species and the successful establishment of thousands of sandalwood trees put New Forest in an ideal position to capitalise on the deregulation of commercial farming of sandalwood in the mid 1990’s. Building on these early projects aimed at revegetation and land care Ron, together with Keith Drage, established WA Sandalwood Plantations (WASP) in 2001. Today WASP has grown to become the world’s largest Santalum spicatum plantation asset manager responsible for over 13,000 hectares of spicatum plantations in the wheatbelt region of Western Australia. Derby raised, from Worora and Walmajarri families, Katina is an executive with over 25 years’ international experience in financial and general management roles. Katina is currently the Chair of ASX listed Ardea Resources Ltd, Managing Director of Indigenous Professional Services and a Non-Executive director of headspace National Youth Mental Health Foundation and Gumala Enterprises Ltd.
Katina has a Bachelor of Commerce degree from UWA, is a Certified Practising Accountant and has an MBA from London Business School. She is a graduate member of the Australian Institute of Company Directors. As an Angel Investor and entrepreneur, Katina has developed and invested in several businesses, as well as mentored Indigenous business people to grow their influence in Australia’s economy. DSO has engaged an expert team, specialised in sandalwood production to work with and liaise with global perfume companies and other appropriate clients. The team includes Steven Birkbeck, who founded Mt Romance in 1990 and is well regarded in the industry as the pioneer of Australian sandalwood oil (1990 to 2008) and is co-founder of the Natural Resources Stewardship Circle. Stephen and his wife Karen founded Mt Romance in 1990 and in 2005 sold the Albany-based operation. In 2007 the company was facing liquidation with a large bank debt and was losing money. He took the company over in exchange for the bank debt, in partnership with an existing shareholder, one of Australia’s wealthiest men, John Gandel. He chaired Mt Romance through these dangerous times and posted a $ 5 m profit in the following year and resold it in just 14 months later to TFS Corporation Ltd.
Stephen’s integration of social, ethical and environmental thinking into business has led to many successes. He has won a string of major awards for business excellence such as the Ernst Young 2004 WA entrepreneur of the year – life sciences – Inaugural Inductee into the WA Hall of Fame - named 2011 Australian Export Hero (supported by Senator Jean-Pierre Leleux, France) along with being the first Australian to export cosmetics to France (1993) and subsequently the first Australian to penetrate the French luxury perfume sector (1998). 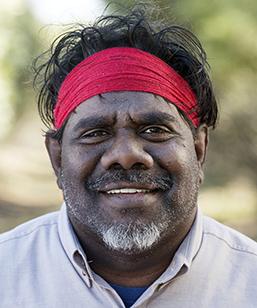 In the last three years he has devoted his time to Indigenous Communities Desert Sandalwood Vision and has built a Research Facility that is not for profit. Branislav Lazin is the Distillation Manager for the Dutjahn Sandalwood Oils company located in Kalgoorlie, Western Australia. Branislav has over 20 years experience across the pharmaceutical, personal care and food processing sector, including distillation. Branislav brings to DSO a track record of improving management systems and quality control having worked at a number of facilities located in Australia, New Zealand and Europe. Branislav oversees distillation production, commissioning, equipment validation, compliance, in-house research & development and training, including cGMP. Has never worked for anyone in his whole life, because he is a self employed sandalwood harvester. His father (first contact – deceased) taught him to care for country with socio-economic – environmental principles. Sandalwood harvesting in the desert is tough uncompromising work. Clinton manages and operates Kutkububba Aboriginal Corporation’s Indigenous Martu harvesting enterprise. Caring for Country and following in his fathers footsteps is a cultural and commercial obligation to the Martu people. Kado is a statesman anthropologist/archaeologist/editor and environmental activist. This intellectual tribal desert man is in the prime of his life; transcending from statesman to elder and has invaluable experience in Aboriginal Heritage. Kado Muir has been fighting for Indigenous Land Rights in the Central Deserts for over 20 years. Kado grew up from an early age living in the bush and his passion is to “look after country” which led him to become an approved FPC dead wood harvester to compliment his Ranger programs with troubled youth in the Central Deserts. Dutjahn Custodians Pty Ltd (DC) was established in 2016 by Darren Farmer, Clinton Farmer and Kado Muir. DC aims to build on the founders track record as the longest standing continuous harvesters of sandalwood (harvesting since 1977) pioneering the Songman Circle of Wisdom and Indigenous Certification of sandalwood between 2000 to 2008. Representing their communities, these traditional second contact statesmen originate from the Dutjahn Homelands, a vast area of over fifty million hectares recognised under Australian Native Title that is the original habitat to Australia’s pristine forests of Australian sandalwood (Santalum spicatum). The founder's experience and expertise is essential to increase the involvement of the Indigenous community within the sandalwood industry and protect the remaining resource for future generations. The Dutjahn Custodians have made a significant commercial investment including but not limited to establishing the K Farmer Dutjahn Foundation as a Community Benefits Fund. The K Farmer Dutjahn Foundation (KFDF) is an Indigenous run not-for-profit foundation to advance the interests of Indigenous people in the sandalwood industry. The enhancement of the socio-economic progress of central desert Indigenous Australians via access and resource sharing of sandalwood. Strategies have been identified through Indigenous consultation to facilitate resource access and socio-economic outcomes. The foundation will focus on supporting and uniting traditional native title holders who have sandalwood desert forests growing on land which they have (or about to receive) exclusive legal possession of crown land and can seek rights based on the landmark Martu ruling, giving them effective ownership over the sandalwood resource. Co-ordinate a powerful coalition of emerging Native Title Holders to build a united co-operative approach to maximize resource sharing with the State through a new worlds best practice wild harvesting Indigenous Certified standard. Maintain capacity building support for Indigenous harvesters. Protect the desert forest via expansion of the existing FPC regeneration and harvesting methodologies through Indigenous collaboration and joint research of improved methods and systems. Differentiate Indigenous culture by gathering and key aspects of Central Desert archives re the photographic records, early explorer journals and stories of the 1st and 2nd contact elders in relation to natural resources and their sacred link to the people. Develop new products and processes and systems from wild harvested sandalwood that increases utilization of dead wood to reduce old growth logging and leverage these ancient trees against fresh plantation production. Founded in 1977, the year of the Chairman’s birth by his father, a first contact desert man. Operating deep in the Gibson desert at a fully independently financed outstation the focus of the Corporation is to develop a culturally aligned industry that can lead to financial independence in what is a socio-environmental worlds best practice. Continuous sustainable sandalwood harvesting for 40 years. License rights to Native Title Sandalwood purchased outside the State Government. Unique Indigenous land Use Agreements with the traditional custodians of the land. Resource Levy paid to the extensive Indigenous Corporations membership. Resource Levy paid to the Mungarlu Ngurrarankatja Rirraunkaja (MNR) community. Recent strategic investments in Dutjahn Custodians leading to being the only successful tender to win a long term contract, other than Mt Romance to process 100 t of the State controlled FPC quota of wood per annum. Commitment to research and develop unique Indigenous consumer products. Commitment to work with it’s partners and Government on a Dutjahn Ranger Program. Commitment to establish a long term management plan for the sandalwood resource. WA Sandalwood Plantations (WASP), established in 2001 by Keith Drage and Ron Mulder, has become the world’s largest manager, producer and supplier of plantation grown spicatum wood. With operations covering 13,000 hectares in the Central Wheatbelt, WASP has spearheaded the plantation industry planting more than 14 million trees and managing the investment of over A$105 million into the rural economy. Access to a fully accredited (PEFC) long-term sustainable supply of plantation spicatum with complementary management systems for the harvest, grading and handling of sandalwood. WASP and its group of private companies made a decision back in 2001 not to offer investment in its plantations via a Managed Investment Scheme (MIS) structure, and that has remained the group’s position ever since. All plantations managed by WASP are owned directly by the investors and are all fully funded until harvest either via segregated working capital for each or contracted annual payments. WASP and its group of companies are all privately owned and free of debt. WASP’s operating model means that it does not have to raise funds to cover its overheads or those of the established plantations it manages.